WE DO NOT TAKE RESERVATIONS OR ANY CALL AHEAD SEATING. WE HAVE VERY LIMITED SEATING OPTIONS FOR GROUPS LARGER THAN SIX PEOPLE. Our beverage program, led by Tim Wiggins, is a seasonally rotating menu of spirit-forward cocktails, craft beer, and wine. We showcase primarily aged spirits in a cocktail menu featuring both classic cocktails, and our own original creations. 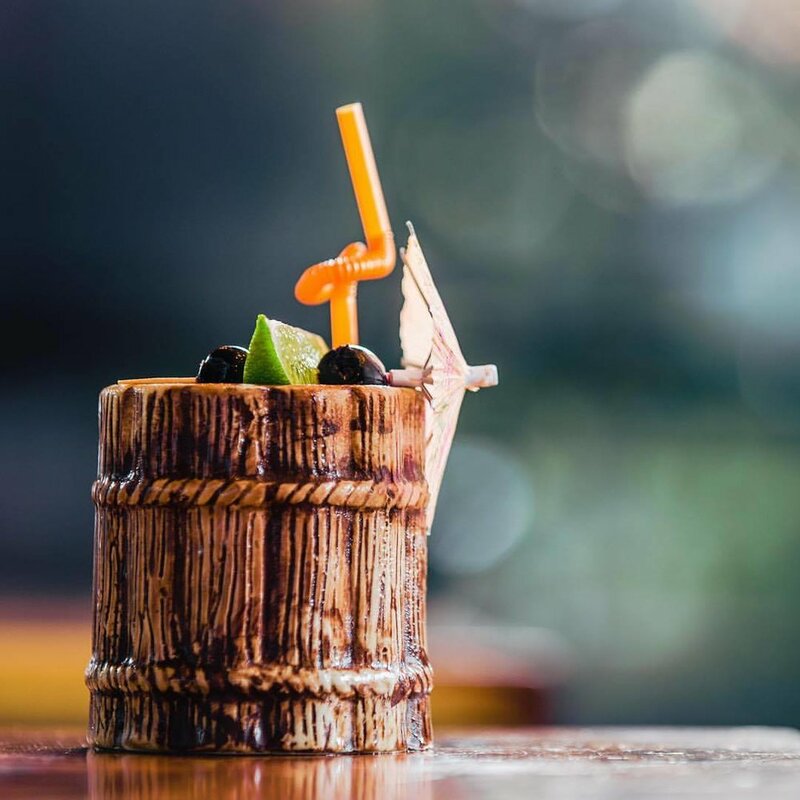 Our cocktails are made with fresh quality products, many of which are made in house such as our cold-pressed juices, syrups, shrubs, and tinctures. There are ten rotating taps featuring both local craft breweries and out of town guests. With this selection, we rotate sours and barrel-aged options. Additionally, we carry nearly 30 craft beers in cans and bottles, with several large-format beers for sharing. We cook simple, but elegant, food bringing regional produce and fresh ideas to recognizable pub fare. Our kitchen takes a modern approach to pub food featuring many hot and cold small plates, burgers, sandwiches, and entrees. A large portion of our dining menu is vegetarian-friendly. Most vegetarian options are also available vegan. Only a few items cannot be made gluten-free. We source as many products as we can locally, or from locally based suppliers. Guests should feel comfortable coming in for a quick lunch, a couple of drinks, or a 4-course meal. Our mission is to provide guests with a memorable meal and a full-service experience. We are open for lunch and dinner every day except Tuesday. 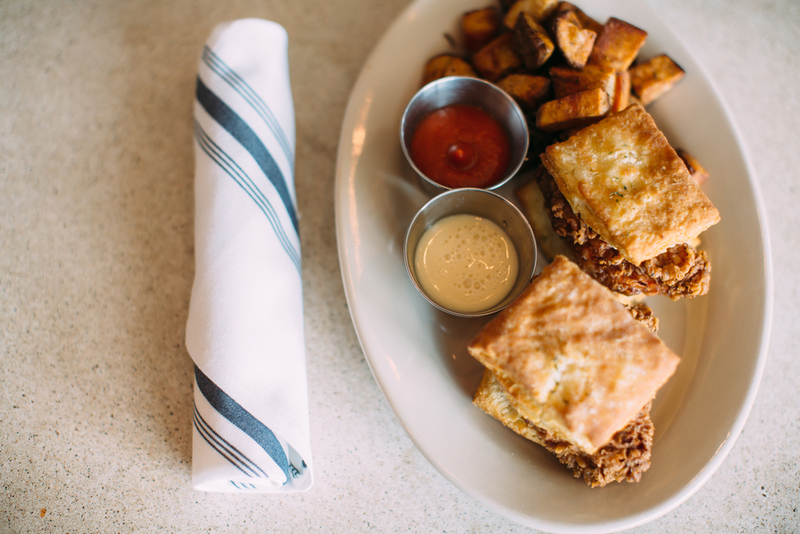 Brunch is served on both Saturday and Sundays. Our vibe is comfortable and casual. Modern, yet rustic. The reclaimed wood and concrete bar is the centerpiece once inside. The concrete was poured on site and stained once dried. The reclaimed wood was all reclaimed from sites here in St. Louis. 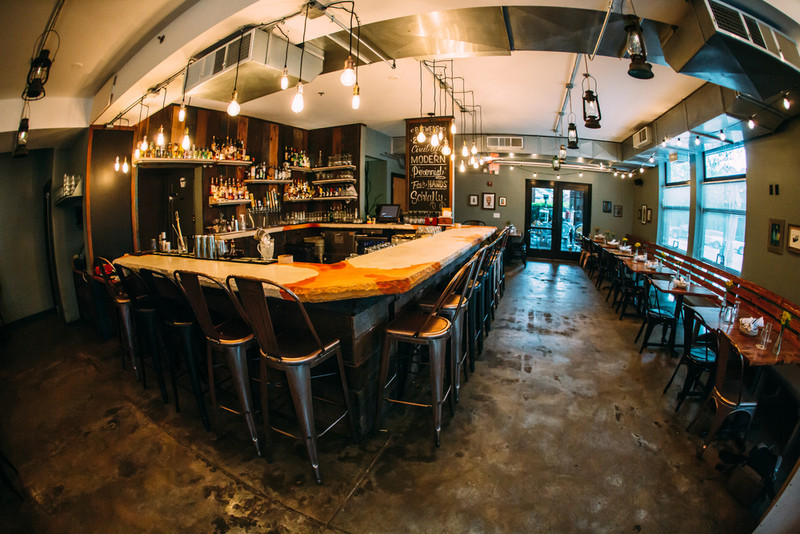 Cedar tables and benches were Missouri-sourced, custom-designed, and hand-built for seating around the bar. Gas lanterns are re-purposed into light fixtures hanging throughout. Those combined with outdoor string lighting, brings the outdoors in. Our 'patio' is a screened in sunroom that can both protect from the elements, and provide open air. We have sidewalk patio seating as well.